El Uno means “The One” in Spanish. Five thousand years ago a white man with blue eyes performed miracles by singing “The Word” in South America. His name was Viracocha and at the Gateway to the Sun, he promised to reincarnate and lead those who are ready to a New Earth. One thousand years ago, a white man with blue eyes performed miracles by singing “The Word” in Central America. His name was Quetzalcoatl and at Chaco Canyon, New Mexico, he completed a Physical Body Ascension, with over one hundred others. He promised to reincarnate in one thousand years to lead those who were ready to a New Heaven and a New Earth. Today, a white man with blue eyes now teaches others how to perform miracles. He also sings “The Word”, every week, in his Mystery School Gatherings. He has returned to fulfill his promises. Every Saturday, he trains people around the world, using a teleconferencing system how to prepare for the time of Physical Body Ascensions. By singing “The Word”, he activates the Souls and Light Bodies, or Holy Spirits, of participants and together they are able to bilocate with their Conscious Awareness to the “Promised” New Heaven and New Earth in a New Universe. “The Word” manifests when specifically enhanced sound waves are sung, or electro-magnetically uttered by a Sun of God level Conscious Awareness. When “The Word” is sung in the proper way, it creates a state of energetic excitation and focuses a flow of God’s energies of Unconditional Love that enables one to relax, heal and/or spiritually enhance one’s physical body and Light Body or Holy Spirit. 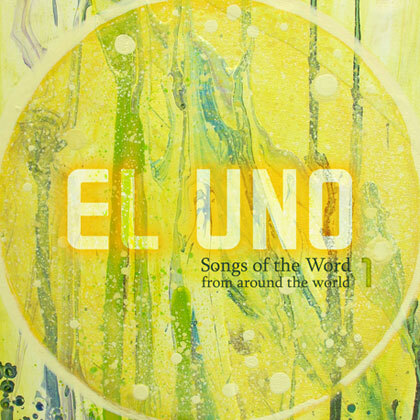 This is El Uno’s first CD of “The Word”, and it was specifically recorded to be used with ancient spiritual techniques, while immersed in our new “Miracle Bath Waters”.